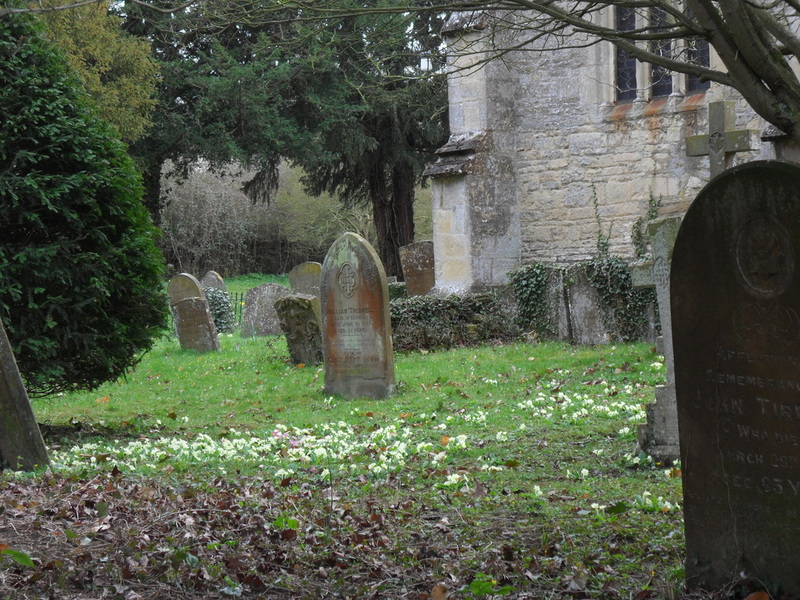 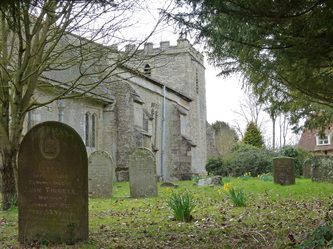 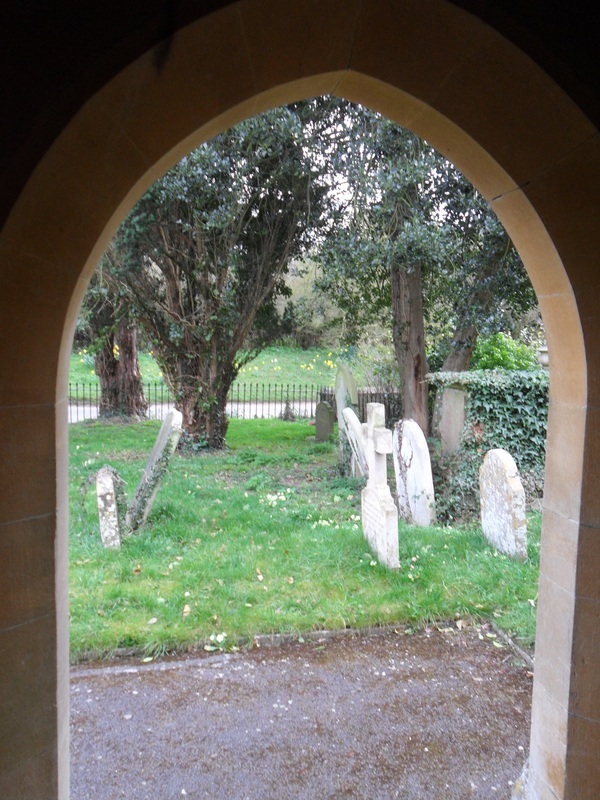 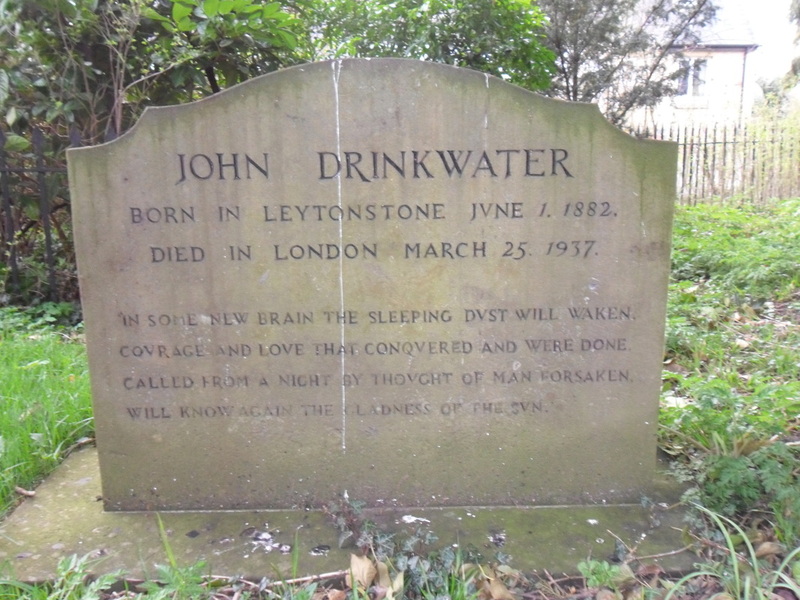 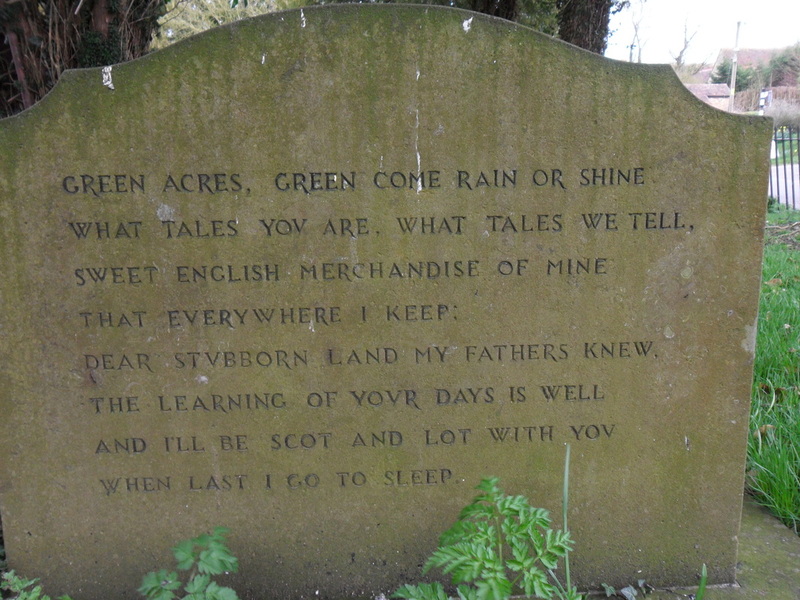 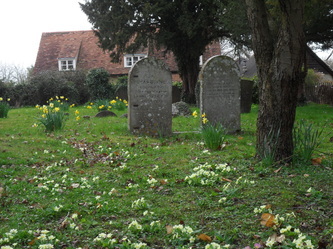 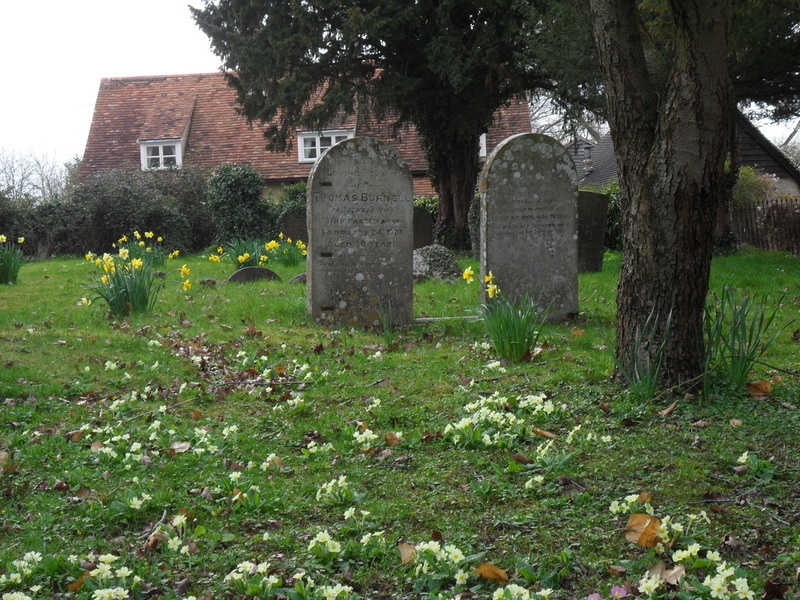 Although perhaps the most notable person buried in Piddington churchyard is John Drinkwater, the gravestones reveal the names of some long-established local families. 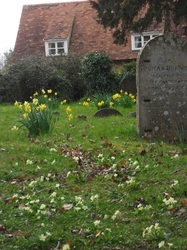 You can find a list of all the gravestones in St Nicholas' churchyard up to 2004 here. 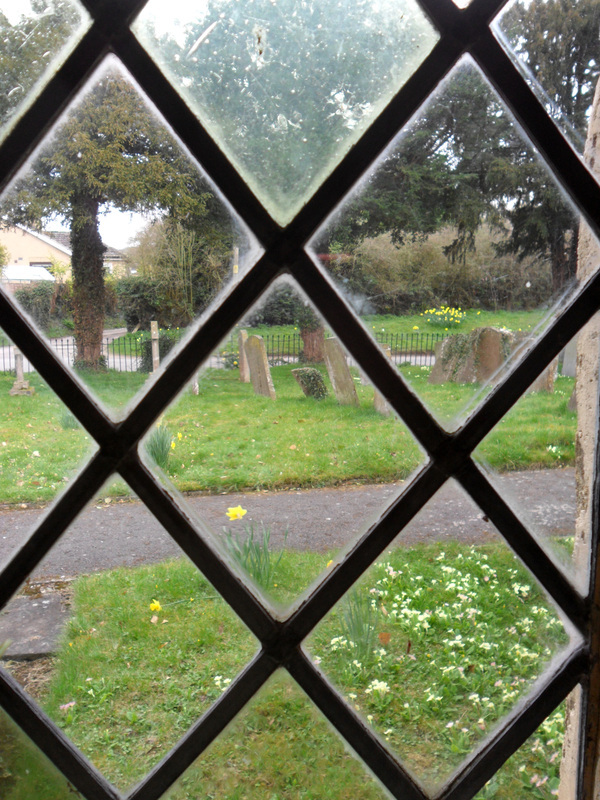 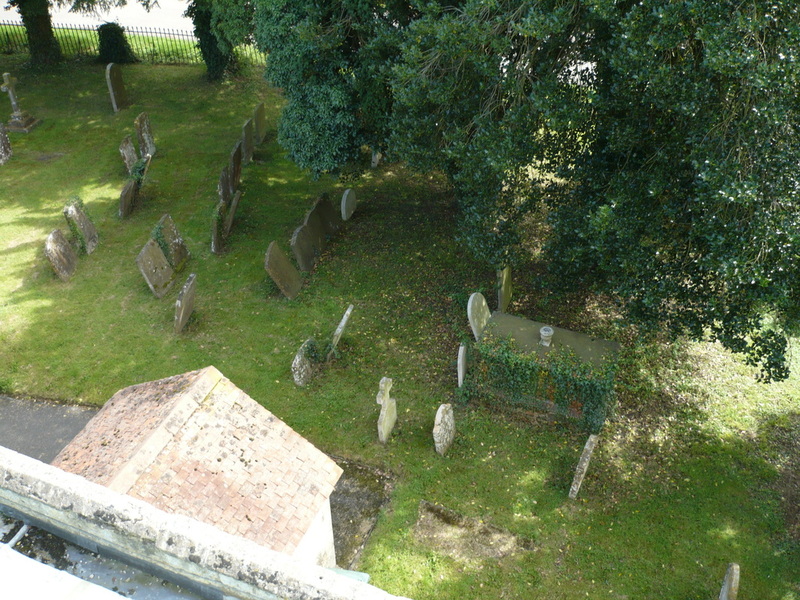 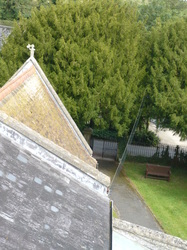 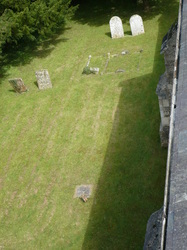 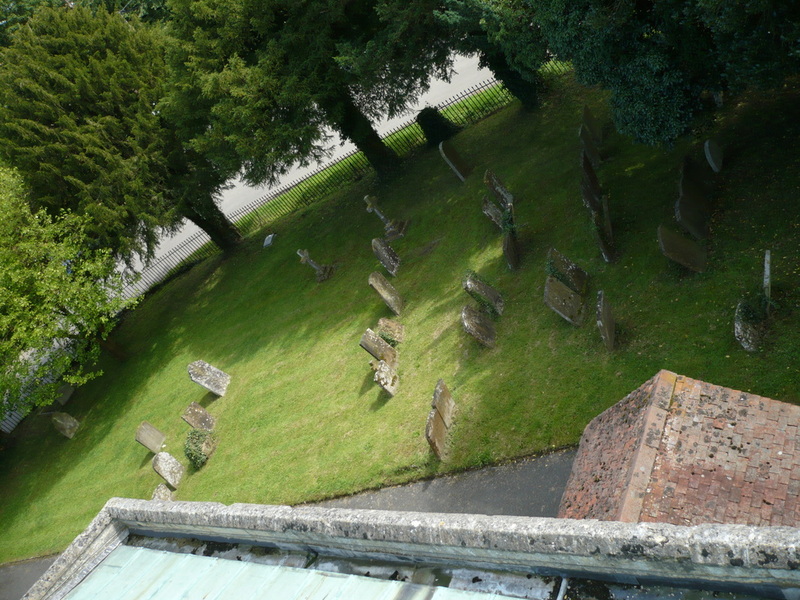 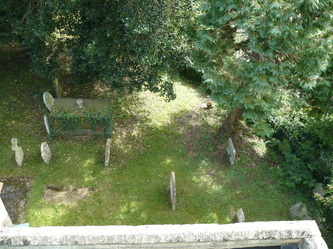 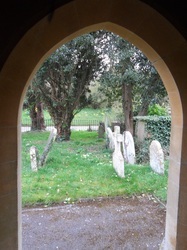 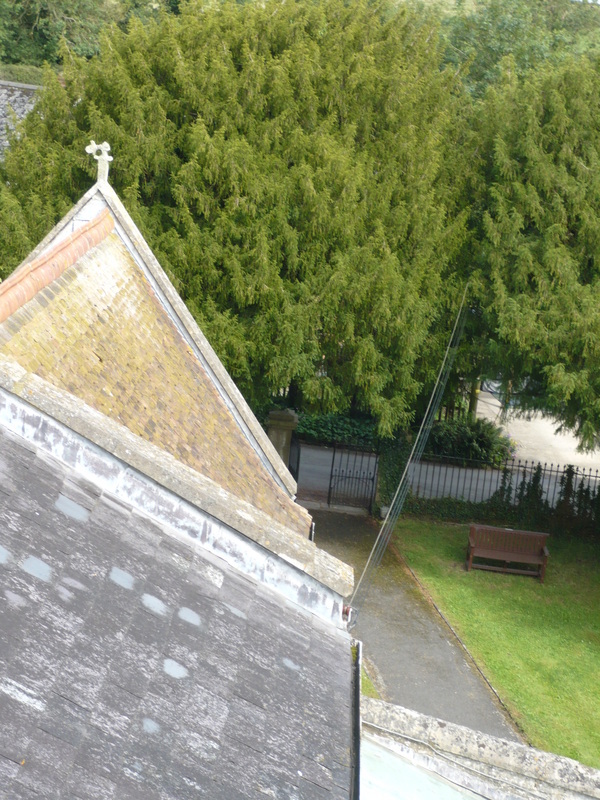 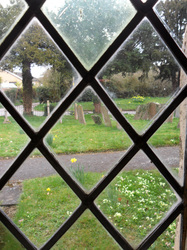 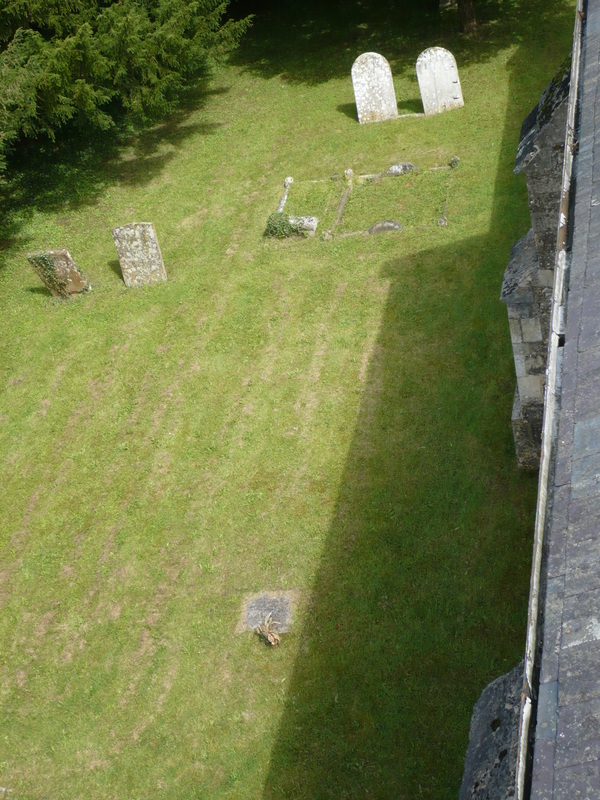 Below are some photographs taken by the intrepid Stan Hearn, looking down on the churchyard from the belltower.